Up North winter is a big deal. (If you do not live in a cold climate, stick around I have some help for you too!) It’s cold, it’s snowy, it’s windy, it’s pretty and it can be very expensive. Winter utilities can completely wreck a household budget so saving money is essential. How to save money on winter utilites. Over the years I have learned a few tricks that help save us money on our winter utilities. Most are simple, some are just a little crazy, all are going to add up to save you BIG. 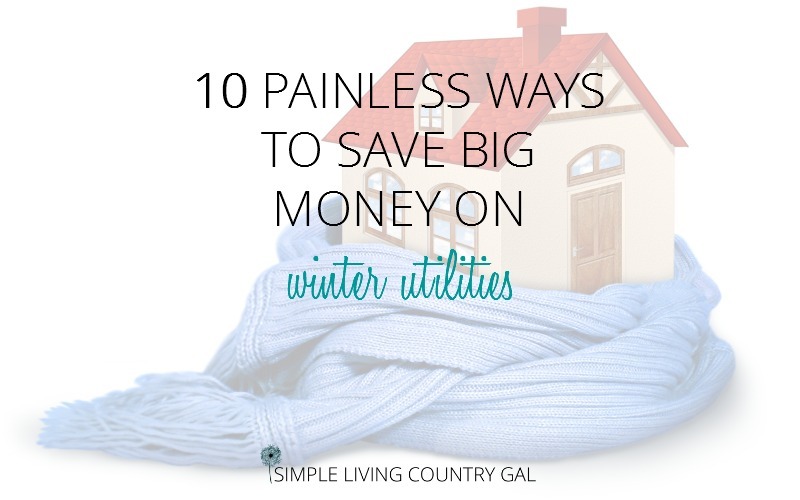 10 Ways to Save Money on your Winter Utilities! Tip #1 Lower your water heater. This one is easy and totally painless, yet few people actually do it. Most water heaters are preset to 140 degrees. Not only is this high temperature unnecessary but it’s too hot and can scald quickly. If you turn down your tank to 120 degrees you will potentially save up to 40%. Not only that, but you will hardly notice the temperature change. If you are not sure on how to do this, you can read more here. Tip #2 Childproof your outlets. Have you ever held your hand in front of an electric outlet on a cold winters day? It amazes me just how much cold air comes in through our outlets. Even newer homes have this problem. An easy fix is to purchase childproof electric plugs like these, but I bet you could find them at the Dollar Store as well for a fraction of the price. Tip #3 Check windows for leaks. It is said that 20-30% of a home’s heat escapes through our windows. If you feel cold air coming in there are a few low-cost options to help. First, check and make sure your windows are locked. Just this one step will stop a lot of your heat loss. Next, if you have curtains on your windows or shades, keep them closed and you can keep out even more cold air. If you still have a problem, you can try a furnace filters You easily make your own by filling an old sock with dried rice. Simply place the sock on the sill or top ledge where you feel the most cold air. Finally, you can use Plastic Window Film. Although I am not a fan of this option I know people who love it and use it every year. Tip #4 Replace your furnace filter. Hubs likes to change our furnace filters the first day of fall. This ensures it is done long before we need to run our furnace. Nothing causes allergies more than a dirty filter, trust me I’ve done the legwork. Clean filters also help extend the life of your furnace. Easy chore with big results. Tip #5 Use the sun. Even on cold days, the sun is warm. Most people will tell you to keep your curtains closed on cold days to keep that frigid air out and I almost completely agree. Except when it is a bright sunshiny day. Open up those curtains and let that warm sunshine in. You might be surprised at what a difference it can make in your home. 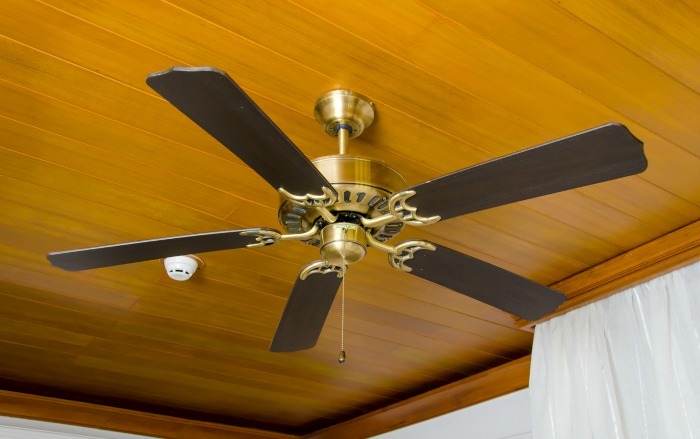 Tip #6 Use ceiling fans to move warm air. Fans are for more than just keeping cool. If you have high ceilings like we do, you may find that quite a bit of your heat rises up. If you really want to save money on your winter utilities, use your fans to get that heat back down where the people are! Simply turn your ceiling fans on low and run them counter clockwise. This will move the warm air down where you want it. If you want exact numbers, you can find just how to calculate the costs at spyrkaelectric.com. Tip #7 Close off unused rooms. If you have rooms that you do not use often such as an office or spare room, why heat it? Not only should you keep the door closed, but close the heating vents as well. This will force more of your heated air into heavily used rooms. Ninja tip: Make sure to remove any plants before doing this! Tip #8 Check under doors. We have a walk-in attic off of our game room and even though there is carpet up there I am amazed at how much cold air comes through the bottom of the door. A few years ago my Sister In Law bought me this Draft Dodger. Not only does it keep the cold out, but it’s cute too! Just like the draft sock I mentioned above, you can make a draft dodger as well but you will need a much bigger sock to cover the entire base of the door. Tip #9 Use your oven! My kids love this tip. On the really cold days, I like to bake a few batches of cookies or homemade bread. This is a dual purpose tip. 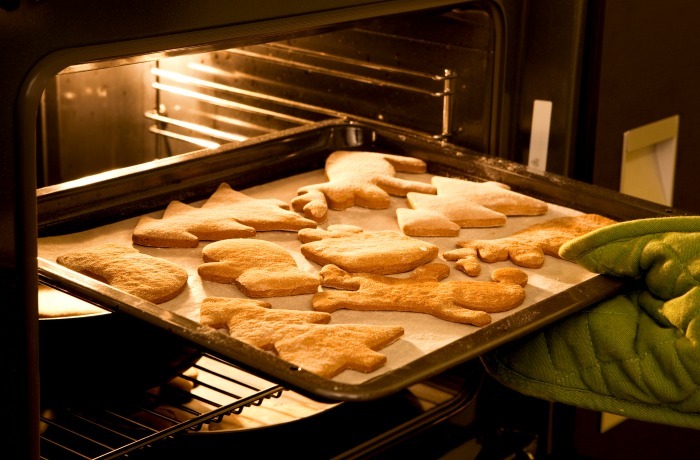 Not only are you filling your freezer with treats for company or just for fun but you are also heating up your house with the heat from your oven. Tip #10 Turn that thermostat down! Not nearly as fun but a great cost saver that can really save some big money on winter utilities. If you have a programmable thermostat you can turn your furnace down while you sleep and set it to warm up before you wake. You can also go a step further and reduce the temp by a few degrees and put on a sweatshirt and warm socks. Bonus tip #1 Call in reinforcements! You can also add an energy efficient space heater such as an oil filled radiator. We have a couple of these heaters and we love them. They cost very little to run and will heat a room pretty thoroughly. Since I spend most of my days in my office, this heater keeps me toasty warm without having to heat up the entire house. Bonus tip #2 Cover up at night. We always use a second comforter on our beds at night along with some cozy flannel sheets. You will be amazed at how these two additions can make your bed toasty warm. Bonus tip #3 Call in the professionals. If you are following every tip you can think of yet your home is still drafty. It may be time to call in some help to make sure you can save on your winter utilities. Contact your heating company for suggestions of a home visit. You can have a professional come into your home and look over your windows, your furnace and even check insulation. This will give you a heads up on any larger issues you may need to take care of. Make sure before you book an appointment with anyone you determine it is a no-obligation cost-free visit. Yes, these are available….you just need to find them. Call your heating company or your local extension office for help. These folks know exactly what to look for, all you need to do is reach out. You may find that just a little caulking around the windows is all you may need to tighten things up a bit. For my milder winter and summer year-round folks. Don’t worry you can save money too. Just because you have air conditioning does not mean you have to USE it. Now that the sweltering heat has calmed down a bit, turn those A/C units off my friends and save big. 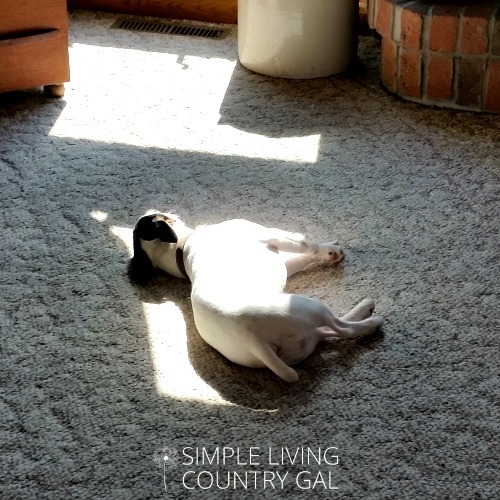 I have a full post of uber awesome and super simple tips on how to keep your house cool without using central air. Now, I know all of your southerners do not have the luxury of shutting things down in August. Read: How To Keep Your House Cool Without Central Air. When you are looking for ways to save money on winter utilities you need to weigh all the options. The cost of a new tip or the labor involved to implement it may not always be worth the savings. Do your homework, try a few ideas out and use the ones that work best for you. What tips do you have on how to save money on winter utilities? Leave a comment below, I would love to hear from you! 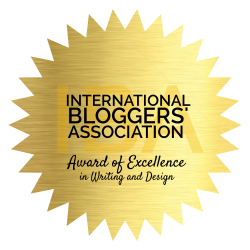 You can find this post over at my favorite blog hop! Such great ideas! I never knew about the electrical outlet thing! Guess i will start baby proofing my house a little early then! Thank you so much for sharing! So glad to help, haha! I learned that trick when my boys grew up and I started removing the covers one winter. The cold air that came through was shocking! Not a huge thing, but every little bit helps. The official name for those “thingys” is a plug or light switch insulator. I put outlet and light switch insulators in here. You can find them at the hardware stores. Remove the screw(s) that hold it in place, put in the insulator and cover up again. These are immense savings in the winter months and helps keep out the hot air in summer as well as heat/cool leaks. Add the safety plugs to the outlets once done and you can save over $50.00 a year doing this. It is amazing how something so small can pack such an impact! Thanks for this advice for saving money on utilities. It’s good to know that the fall is a good time to replace your furnace filters. I’m interested to learn if this could also be a good time to make sure the furnace will work efficiently during the winter. Yes, that is another great idea Taylor! Checking the furnace and how water heater before winter hits is a great way to make sure everything is ready to go. We can also add on wood burner and pellet stove to our utility checklist!